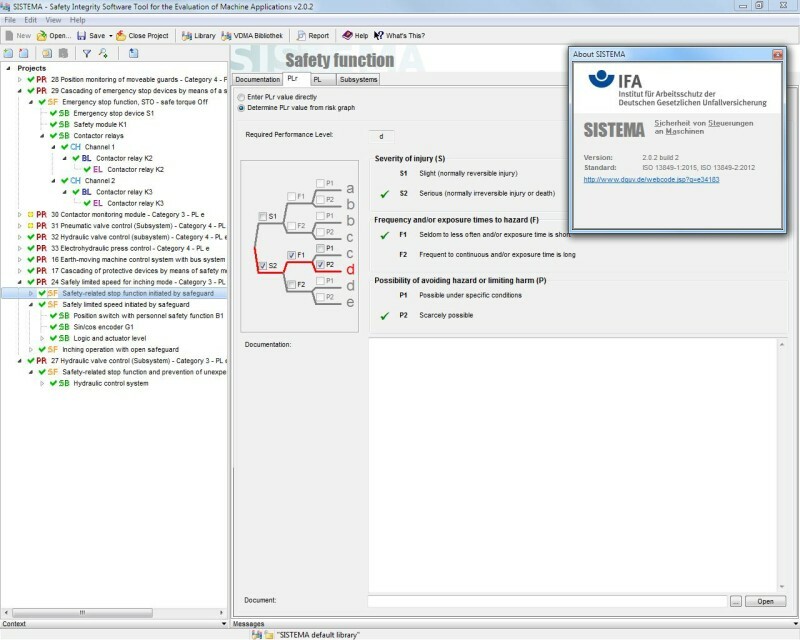 Relevant parameters such as the risk parameters for determining the required performance level (PLr), the category of the SRP/CS, measures against common-cause failures (CCF) on multi-channel systems, the average component quality (MTTFd) and the average test quality (DCavg) of components and blocks, are entered step by step in input dialogs. Each parameter change is reflected immediately on the user interface with its impact upon the entire system. The final results can be printed out in a summary document. All versions issued so far are also available. Care has been taken in production of the software, which corresponds to the state of the art. It is made available to users free of charge. Use of the software is at the user's own risk. To the extent permissible by law, no liability will be accepted for the software on any legal basis. In particular, no liability will be accepted for material defects or defects in title, whether in the software or in the associated documentation and information, particularly with regard to their correctness, freedom from errors, freedom from property rights and copyright of third parties, up-to-dateness, completeness and/or fitness for purpose, except in cases of malicious or wrongful intent. The IFA undertakes to keep its website free of viruses; nevertheless, no guarantee can be given that the software and information provided are virus-free. The user is therefore advised to take appropriate security precautions and to use a virus scanner prior to downloading software, documentation or information. After registering with a valid e-mail address, you can download the SISTEMA software free of charge from this website. The IFA responds to registration by sending an e-mail containing the download link to the user. Ensure that the IFA's e-mail, sent from sistema@dguv.de, is not blocked, for example by spam filters. The user's e-mail address will also be used by the IFA to send occasional SISTEMA newsletters. The user can delete his or her e-mail address from the registration database if desired after downloading the software or after receiving the newsletter. 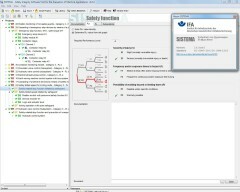 SISTEMA is free software and may be used for commercial, teaching and private purposes. It may be passed on to third parties. It is recommended that new users then use the SISTEMA menu to register. Modification of SISTEMA and its hosting on other servers for download purposes are not permitted.